To be, or not to be. That is the question. Hamlet's dilemma is precisely the one currently faced by Western Civilization. 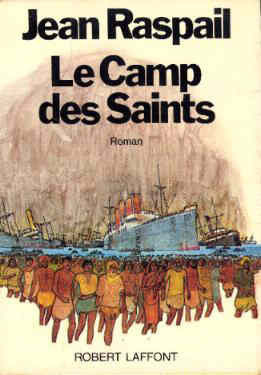 It was novelist Jean Raspail who peered into the future and saw the form in which this dilemma would come upon the West in his Le Camp des Saints which was first published in French in 1973, followed by an English edition in 1975.1 The novel made the bestseller lists when it first appeared — and it returned to them about five years ago when the predicted scenario began to loom large on the horizon of the immediate future — but it met with much hostility from the fashionable elites of the liberal intelligentsia. Its author, a traditional Roman Catholic who longs for the restoration of the French monarchy, was treated by the bien-pensants as a racist rabble-rouser. The novel tells the story of a fleet of a hundred rusting old cargo liners that set out from Calcutta en route to France laden with a million of the poorest of the poor. Long before the armada arrives in the Mediterranean where it will embark upon the French Riviera on Easter Sunday the world becomes aware of its destination and the French discuss among themselves how they will respond. Those in power are aware that what is at stake is the continued existence of France as they know it, that these refugees from abject poverty are attracted by the wealth of the West and not because they love French culture and civilization and wish to participate in it. They are invaders, but invaders armed not with guns and swords, but with their own wretchedness and the liberalism of the French. While a few of France's leaders, including her president, privately do not wish France to succumb to this invasion, publicly they are afraid to express this sentiment and in the end lack the heart to act on it. Most of the intellectuals, clergy, journalists, and politicians welcome the coming of the invaders of which they speak in messianic, salvific, terms and embrace the death of their own way of life. The world waits to see what France will do and when she fails to conjure up the will to survive no other Western country dares to do so. This doom, so vividly forecast by Raspail forty years ago, has gradually come to materialize until now it is dangling over Western countries like the sword that Syracusan ruler Dionysius the Younger hung by a hair over the head of his flatterer Damocles. 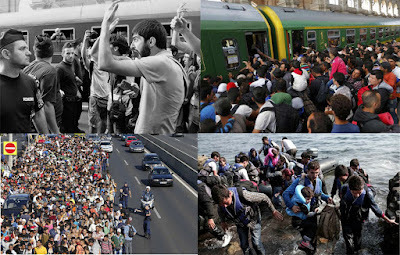 In the 1960s most Western governments radically liberalized their policies on immigration both in regards to who is allowed in and how many causing a massive upsurge in immigration from the Third World. This, predictably, generated a great deal of cultural and ethnic tension. The governments that had orchestrated this new wave of untraditional immigration — or at least passed the laws that made it possible — dealt with this tension in a number of ways. What these methods all had in common was that they involved the government siding with the newcomers against those who were already members of the societies they governed. Often these countries declared themselves to be multicultural, which was more than just a recognition that a plurality of cultures could be found within their borders, but a decision that their country would adapt to the immigrants rather than expect the immigrants to adapt to them. Several of them passed laws which forbade discrimination on the grounds of race, ethnicity, and country of origin which, while worded neutrally, were clearly designed to be applied in one direction only. Sometimes, as was the case with the Canadian Human Rights Act passed in 1977, these laws included provisions aimed at the suppression of public disagreement with these new policies. Throughout the West dissent was further discouraged by means of accusations of racism, bigotry, xenophobia and other such words that suggested that liberal immigration was an obvious good, which nobody could rationally and legitimately disagree with, so that all disapproval was an irrational prejudice based in fear and hatred. Then the illegal immigration problem began. 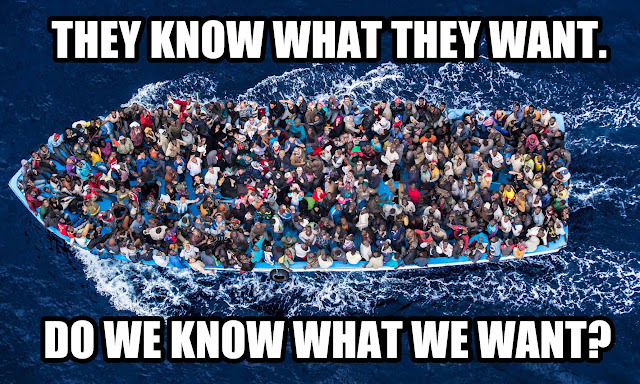 Illegal immigration is when people move to a country without applying to immigrate through the proper channels. Some countries have more of a problem with this than others depending upon how easy they are to access from countries where large numbers of people need to flee. 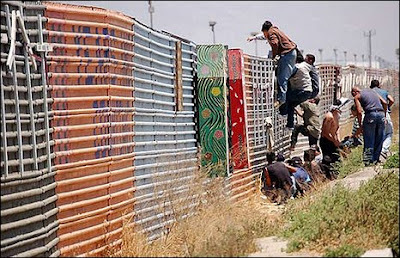 The United States has had a huge illegal immigration problem over its southern border with Mexico for decades, a problem that has been exacerbated by the refusal of their government to enforce its own immigration laws. Politicians of both the Republican and Democrat parties have preferred to amnesty illegal aliens, i.e., to pardon them for breaking into the country and grant them legal immigrant status. There are a number of reasons for this preference — it keeps the cost of labour low for unscrupulous companies and is considered to be the humanitarian response to people who are fleeing poverty looking for a better life — but without a secure border, it is a solution that only encourages more of the problem. It is events that have transpired since the beginning of the Syrian Civil War in 2011, however, that has made Raspail's scenario loom so ominously on the horizon. Protests against Bashar al-Assad's government in Syria that began in the "Arab Spring" of that year grew into armed rebellion, backed by the American government of Barack Obama and his then-Secretary of State Hillary Clinton. As the fighting escalated, Islamic jihadists operating in both Syria and Iraq seized control of territory in these two countries and formed the Islamic State (ISIS) declaring it to be the revival of the ancient caliphate. With the United States backing the so-called moderate rebels, Russia and then later Iran backing the Assad government, and ISIS waging a terrorist war on all fronts with plenty of funding from oil-rich governments in the Middle East, millions of people were driven from their homes and ended up in refugees in camps in Lebanon, Jordan, and other neighbouring countries. Then in late 2014 a wave of migration started as masses of people began crossing over the Mediterranean into Europe. This wave developed into a tsunami in 2015 and by the fall of that year 8000 were crossing over on a daily basis. Although the migrants claimed to be seeking asylum from the Syrian Civil War, statistics gathered by the United Nations show that less than half of them are actually from Syria, with large numbers coming from Afghanistan, Iraq and even African countries such as Eritrea, Nigeria and Somalia. UN statistics also showed that the majority of these migrants were men rather than women and children. Beneath the outward trappings of a refugee crisis this wave of migration looked suspiciously like an invasion. The other players immediately began acting out the script Raspail had written for them decades ago. The pope, a heretic from Latin America who has difficulty distinguishing between the teachings of Karl Marx and those of Jesus Christ,told Europe that it was their Christian duty to take in all of these migrants and countless other clergy, both Catholic and Protestant, sang the same tune. The news media bombasted us with heart wrenching stories and images depicting about the plight of the refugees. Meanwhile our politicians did not waste the opportunity this crisis afforded to show off their humanity at the expense of those they govern. Angela Merkel, Chancellor of Germany, had a "selfie" taken with a migrant and declared that Germany would place no limits on the number of asylum seekers they took in. Unsurprisingly, over a million took advantage of this generous offer. Realizing that this was too many, but not wanting to lose her reputation for being charitable and humanitarian, she asked other European countries to bail her out and take more of the refugees. When they proved reluctant to do so, she attempted to bully them into doing so through EU-imposed quotas. All of a sudden right-wing, anti-EU, nationalist parties began to do well in the polls throughout Europe and in the UK the yes side won on the Brexit referendum on leaving the EU. In Canada, the new Liberal Prime Minister Justin Trudeau, who never met a photo op that he didn't like, pledged to bring 25,000 Syrian refugees into the country by the end of last year. It actually took him until the end of February to do so but he then set a new target of resettling 50,000 in Canada by the end of 2016. 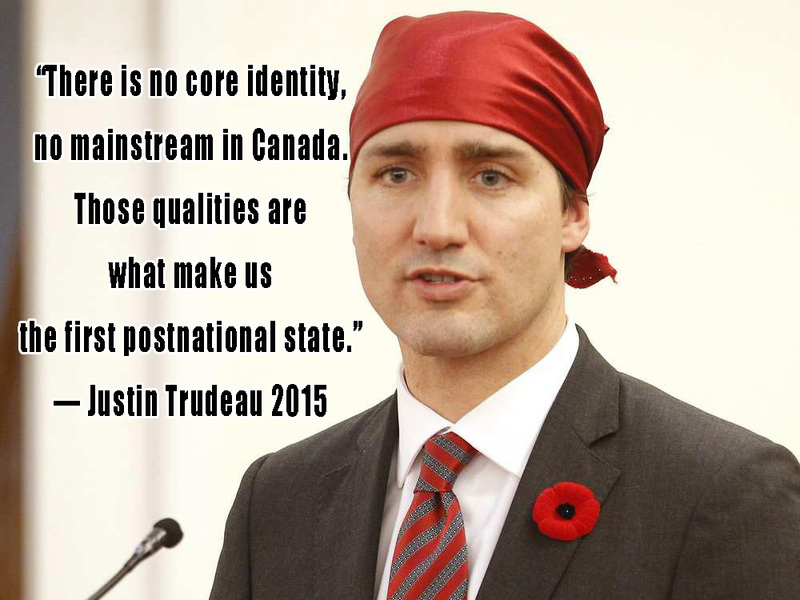 The thought of whether this would be good or bad for Canada and Canadians never crossed his mind. He got to show off how kind and compassionate and generous he was by bringing them over, getting his picture taken, and then dumping them on the country and forgetting about them. We have the liberalism, hiding a death wish for our own culture and civilization behind a mask of concern for the other. We have the intellectual, political, religious and media elites obsessed with projecting an image of kindness and compassion at the expense of their own people. Finally, we have the teeming hordes flooding into the West with little interest in learning our ways, obeying our laws, and becoming part of our civilization. 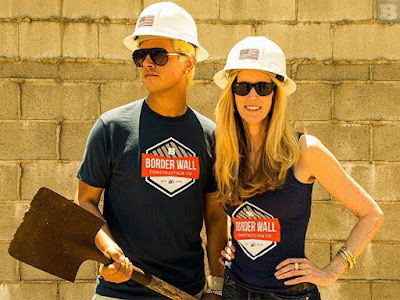 While they cannot be blamed for wishing to flee poverty, war, and other unpleasant conditions, they comprise, in effect if not in intention, an invasion force, armed with our own liberalism and aided and abetted by our own political and intellectual classes. Thus we find ourselves faced with the question of whether we allow this to continue and throw away the civilization our ancestors built, handed down to us, and entrusted us to pass on to their descendants, or do we summon up the will to do what is necessary to preserve that patrimony as a sacred trust. Will Western civilization be or not be? There is a major difference between what Raspail wrote and the reality unfolding around us today, however. It is not France that the eyes of the world are upon, but the United States of America. In this fall's presidential race one of the candidates, Hillary Clinton, is pledged to raising the number of Middle Eastern migrants claiming to be refugees from the Syrian Civil War, taken in by the United States to 10 to 65,000, the high end of which would represent an increase of over 500%. In reality, the number, if she is elected, is likely to be much higher. There will certainly be more people fleeing the region because as President she will pursue the same failed policies she pursued as Secretary of State. These policies are a large part of the reason there is a humanitarian crisis in Syria to flee from in the first place and as ought to be obvious from her belligerent sabre rattling against Syria, Iran, and Russia, she would only escalate the conflict as the American President. The other candidate, Donald J. Trump, is not only opposed to increasing the number of refugees brought in but insists upon better vetting for those who are brought in and has built his entire campaign on a platform of regaining control of America's borders with regards to both trade and immigration. Furthermore, his foreign policy ideas of concentrating on fighting the real enemy, ISIS, and getting along with other countries like Syria, Iran, and Russia that are fighting the same enemy would be far less likely to exponentially increase the number of people needing to seek asylum. What will be the decision on November 8th? Will the United States choose to preserve their own existence by electing Donald Trump or will they choose to dissolve America into the globalist new world order of George Soros and his puppet Hillary Clinton? If the Americans choose the latter, will any other Western country be able to find in herself the will to survive?